It’s important to understand that a car is more than an item that gets you from point A to point B — and with good reason, more time should be invested in making sure that it stays that way! But what type of work helps prolong the life of your car, and how can you get the most from your investment? Luckily, we’ve got a few solutions that can help you retain your car’s value and help you get to know the working parts a bit more! There’s a lot of fluid that many new cars need to operate as best as they should. 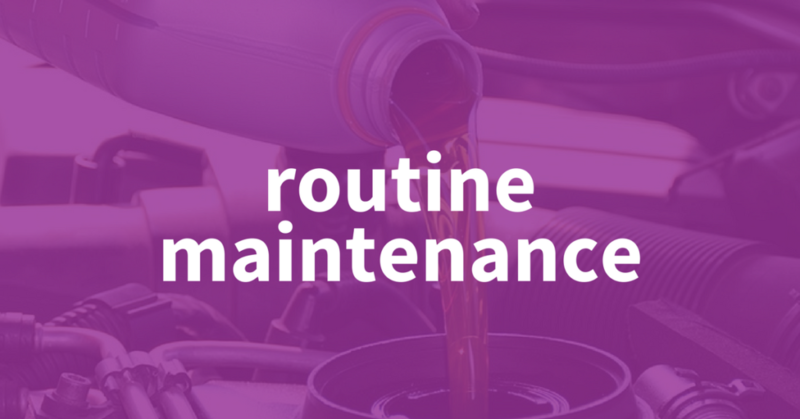 Your coolant, oil, brake fluid and more are just a few things to keep up to date on every once in a while. While some of these are changed more frequently than others, it’s important to just be mindful of their levels, just to ensure that none are burning off or leaking somewhere. At home, keep a few quarts of these fluids on standby, just in case you need them for a rainy day. We all know how grueling winters can be on the east coast, and with the roadwork and snow can come salt and debris. What this does is attach to your undercarriage and begin corroding the metal that keeps the vehicle in check — which can be a key component in safety. To make sure that you’re keeping corroding material off of your car, make sure to wash or have your undercarriage washed every few months. Alternatively, you can also have it lined with a protective coating! To ensure you’re getting clean air and keeping your engine cool enough, air filters are also components that you’ll need to change every now and again as well. All cars have some sort of air intake with a filter, as well as a cabin filter for the incoming air. Both of these should certainly be changed as time goes on, especially if you’re driving a decent amount. The air intake can result in better mpg’s while the cabin filter results in cooler air.